Much like Denton, Golden Triangle Mall has a different perspective than most, and we like it that way. Here, national brands neighbor local businesses and the spirit of our vibrant community thrives. For us, this Denton mall is more than just a shopping center. It’s a social hub where people come to connect, create, imagine and explore. We never settle for ordinary. And that’s just how we Denton. As your local community center, we always add new events to fill your Denton event calendar. 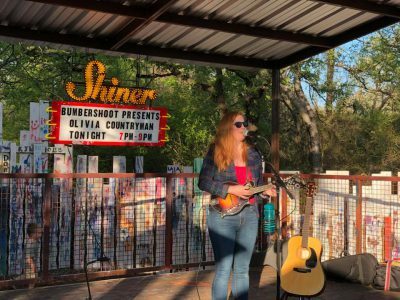 So if you’re looking for things to do in Denton, TX – look no farther than Golden Triangle! Here is what you can expect for the remainder of the year. Throughout the year, Golden Triangle offers events that are fun for the whole family! From our Summer Music Series to our visits from Santa Claus and the Easter Bunny, there’s nothing of shortage of excitement inside these walls. We also have a Kids Club open to children 3-12 years old. Membership is free and there’s a new adventure every month! Stay up to date with our Golden Triangle Mall events. We take great pride in being a cornerstone of our great city of Denton. In 2012, Denton, TX was named Business Insiders Best Small Town in America and for good reason. Our eclectic mix of students, families, musicians and creatives alike make for a diverse community filled with passion. Whether it’s live music on the square or a football game at Apogee Stadium, we’re is always looking for ways to support our great town. Being unique is what makes Denton and its residents special. 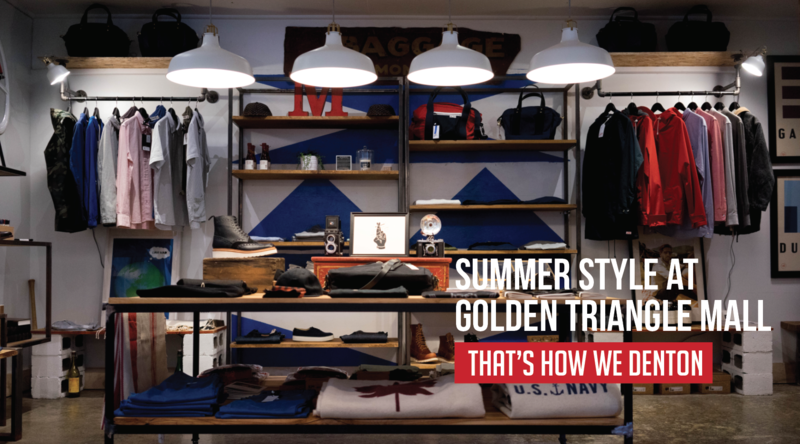 Whatever style you are searching for, you can find it at Golden Triangle. With Denton mall anchors like Dillard’s, Macy’s and JCPenny you can find exactly what you’re looking for. If affordable, trendy fashion is more your thing, H&M or Ross provide stylish options for any age! Be the best-dressed in your 8AM or let your inner-fashionista out seven days a week. Life is all about the experiences you have and the people you meet. Sometimes you’re ready to make a purchase and sometimes you’re not, which is fine because window shopping is half the fun! Come explore new styles, trends and events at your Denton mall. If you’re looking for things to do in Denton, TX, stop by Golden Triangle. Shop, explore, create, and even dream at the corner of I-35 & 288. We have something for everyone, because we are as unique as the city of Denton itself. And that’s how we Denton. Show us how you Denton and follow us on Instagram @goldentrianglemall!